As the competition at breakfast heats up, a plate of bacon and eggs or stack of pancakes may no longer be enough to grab morning customers. 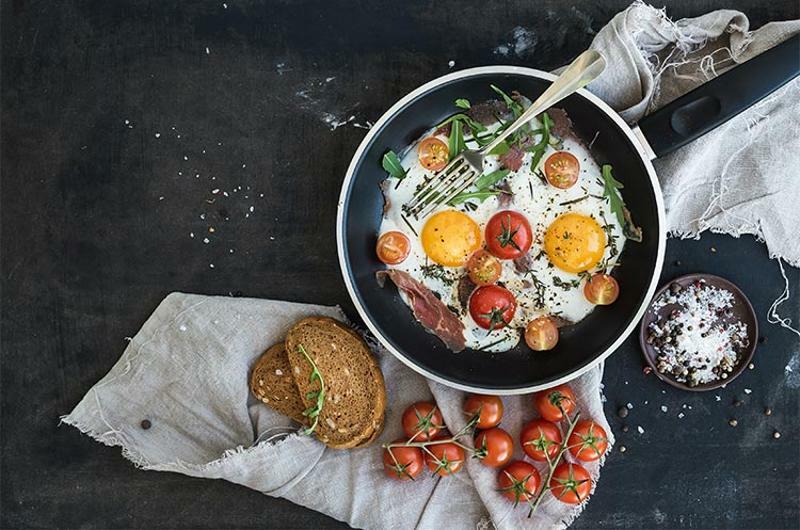 In fact, 36% of 25- to 34-year-olds see breakfast and brunch as more of a destination than a quick, convenient meal occasion, according to Technomic's Breakfast Consumer Trend Report. These five operators are creating destinations by changing up the way they serve and menu breakfast and brunch. The Hilton Oak Brook Hills Resort in the Chicago suburb of Oak Brook, Ill., hosts a lot of business breakfasts and conferences, says Sean Curry, executive chef and food & beverage director. When a group requested a morning reception that would foster team building, he came up with the idea of a breakfast cocktail party of sorts. 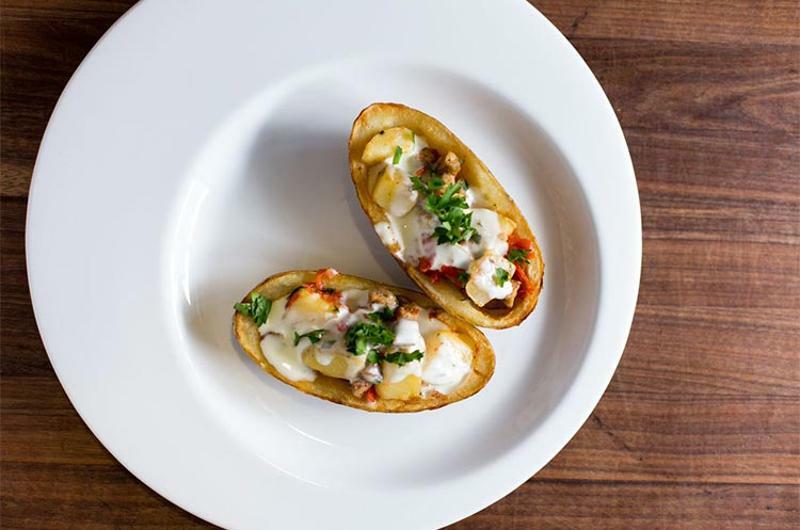 “Instead of a sit-down meal or buffet, I decided to do passed hors d’oeuvres to encourage interaction, giving the food a breakfast spin,” he says. Waiters served trays of Yukon Gold potatoes stuffed with pulled pork hash, mini quiches, waffle cones filled with smoked salmon, and savory ham and cheese scones. “It became a conversation starter,” says Curry, who has since served the breakfast about a dozen times. Although labor costs are higher, he saves on food costs, as there’s far less waste, he says. Enclosed in a box at the very top of the breakfast/brunch menu at EJ’s Luncheonette in New York City are the words “Crunchy French Toast Fingers—A great way for your table to start brunch, $7.00.” A basket comes to the table filled with French toast strips and a ramekin of maple syrup for dipping—enough for two to four customers to share as they wait for their orders of huevos rancheros or crab cake Benedict. 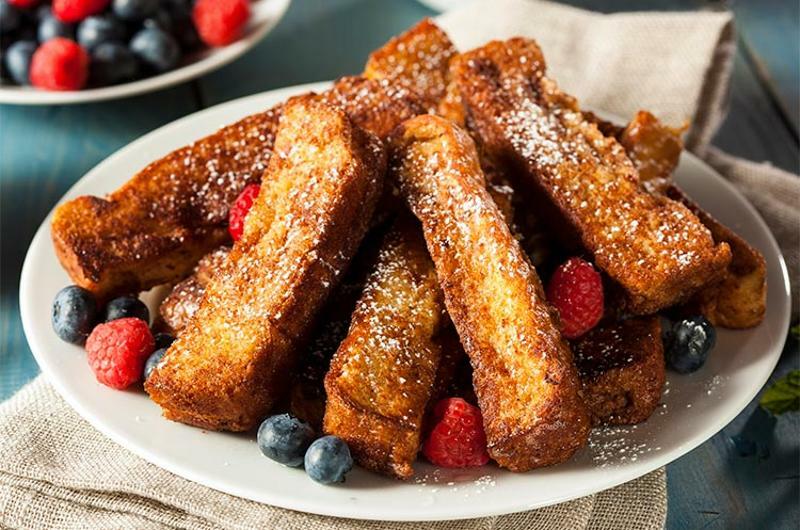 To make the appetizer, EJ’s simply cuts up slices of its regular French toast—egg-dipped brioche coated with corn flakes and toasted almonds—so labor and food costs are minimal. To offer a more memorable event or special occasion meal, some restaurants are creating multicourse brunches similar to upscale dinners. The Grand Floridian hotel at Walt Disney World in Orlando is going many steps—and dollars—beyond that. 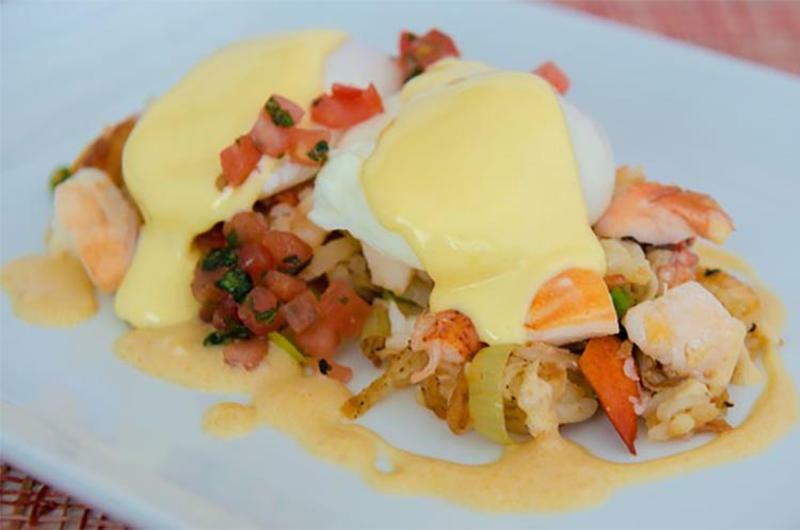 Available Feb. 11, the Brunch With a Twist ($169 per person) will be prepared in an on-stage kitchen by six chefs from top restaurants at the hotel. The introductory five-course menu will include egg ravioli with lobster and corn butter; a duo of duck, veal tenderloin and cheek; and an orange-scented chocolate sphere. Each course comes with a sparkling wine pairing. The brunch show will be repeated on May 6 with different chefs. Breakfast sandwiches are a high-demand item for morning customers on the go, but almost every operation offers the typical egg-bacon-cheese on an English muffin, roll or biscuit. Chef Scott Anderson turned the breakfast sandwich inside-out for diners at Shepherd University in Shepherdstown, W.Va. 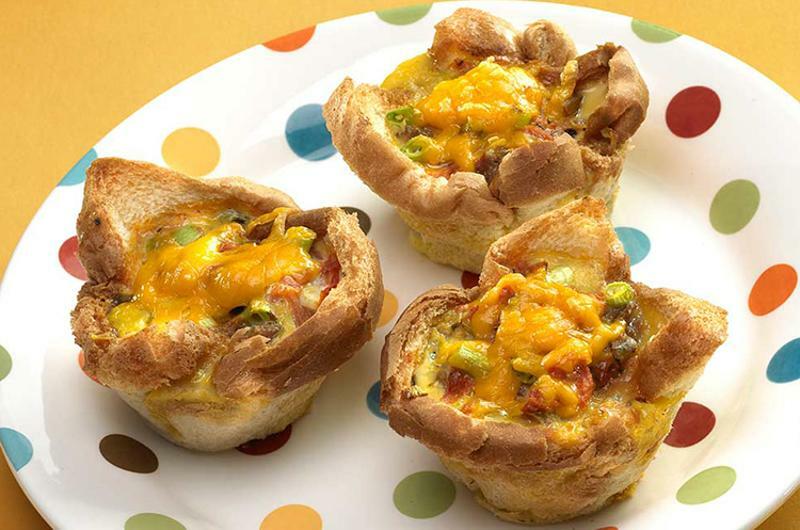 Instead of sandwiching eggs between two slices of bread, he uses the bread to line muffin pan cups. Once baked, the bread forms a crispy shell that holds the cheesy egg filling and makes for a quick, portable breakfast. 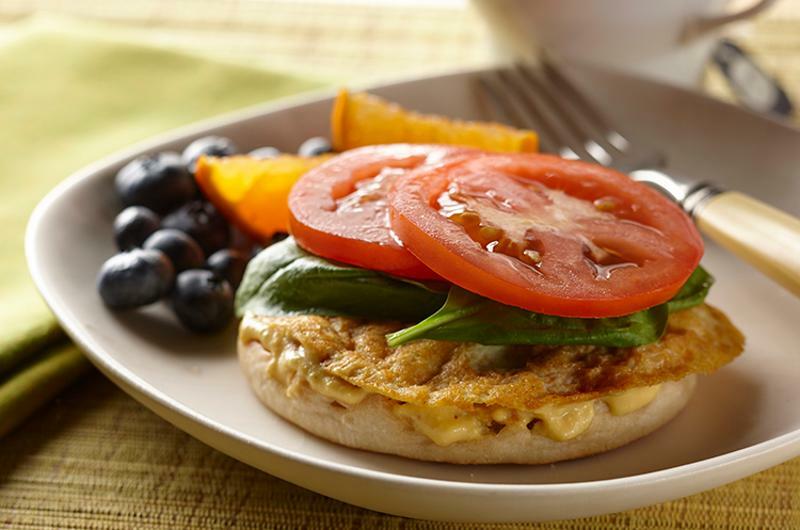 Chef-owner Kerri Rush of Fresh Cafe and Market in Clive, Iowa, offers vegans a convenient breakfast sandwich by creating a tofu “frittata” and substituting it for the usual eggs. She blends firm tofu with soy milk, chickpea flour and spices, then forms it into a patty and cooks it on a griddle. The patty is layered on a toasted English muffin with spinach and tomato and topped with a vegan “cheese” sauce made with sweet potatoes, silken tofu and cashews.